Staff Selection Commission (SSC) has issued official advertisement for Combined Higher Secondary Level (CHSL) 2015 Examination. Read out further for more details about SSC CHSL 2015 exam. There is a change in SSC CHSL 2015 exam. What's the change? Well, in last few years, SSC used to recruit Lower Division Clerk (LDC) and Data Entry Operator (DEO). But this year, SSC has made a slight changes, better to say add some posts which will be filled in through CHSL 2015 exam. Now Postal assistant/ Sorting assistant (PA/ SA) posts will be filled in through this exam as of now. In previous years, PA/ SA posts were recruited by Department of Post itself. From this year, it won't be happened. It will be through SSC. Now, comes with vacancy, eligibility, application details. Educational Qualification : Must have passed 12th standard exam or equivalent from a recognized university/ board. Age Limit : Between 18-27 years as on 01.08.2015. Application Process: Candidates are required to apply through online or offline. Read out official advertisement here. 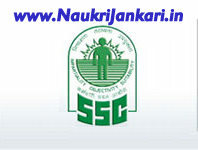 0 comments for " SSC CHSL 2015 Notification released: Changes in Posts "